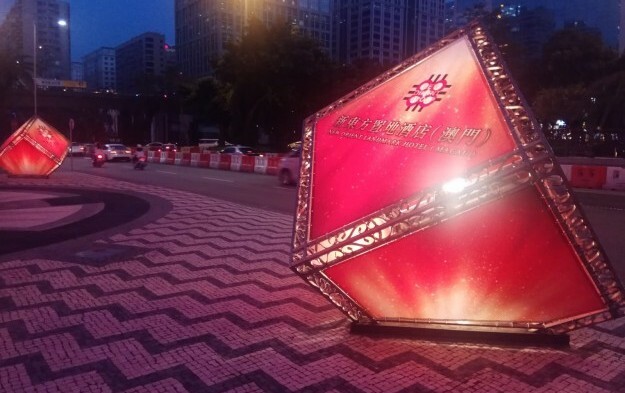 The casino hotel Landmark Macau has been officially renamed as “New Orient Landmark Hotel” (pictured) on Tuesday. The rebranding followed the sale of the casino hotel – completed in April – by casino services firm Macau Legend Development Ltd. Ground checks by GGRAsia on Wednesday saw no signs of changes to the existing “Pharaoh’s Palace Casino” inside the hotel property, which is still managed by Macau Legend, under the licence of Macau casino concessionaire SJM Holdings Ltd. The sale of the hotel for a consideration of HKD4.60-billion (US$586.1 million) helped Macau Legend book a profit of HKD2.85 billion for the first half of this year. GGRAsia was not able to reach Macau property investor Chong Sio Kin – the new majority owner of the hotel property – for comments on the rebranding exercise by the time this story went online. Mr Chong said in November in an interview with GGRAsia that he aimed to “enhance the gaming services” at the venue. Mr Chong is the chairman of a Macau property development firm, New Orient Group. The New Orient Landmark is located on Macau peninsula, and is an approximately 15-minute walk from Macau Fisherman’s Wharf. The property, which is classified by the Macau government as a 5-star hotel, offers 439 rooms.